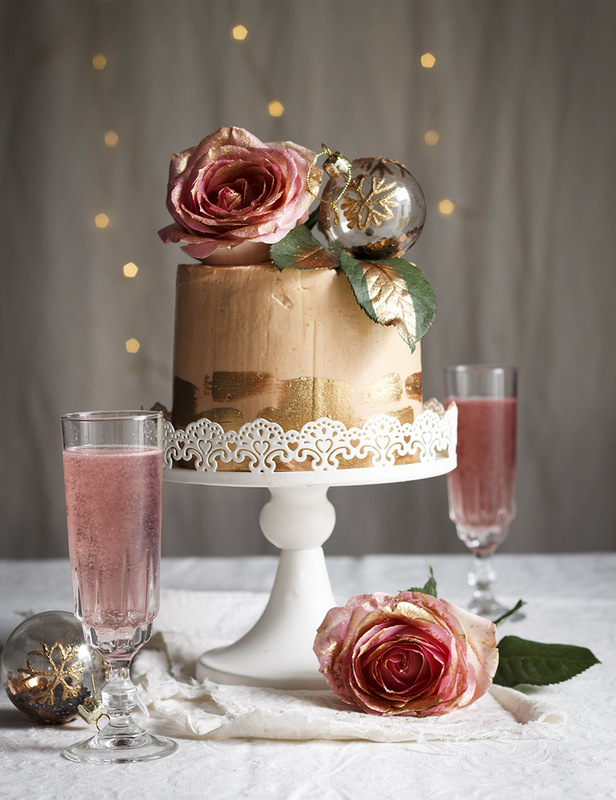 Champagne, bubbly, sparkling wine, whatever you call it, it’s the perfect companion for cake. 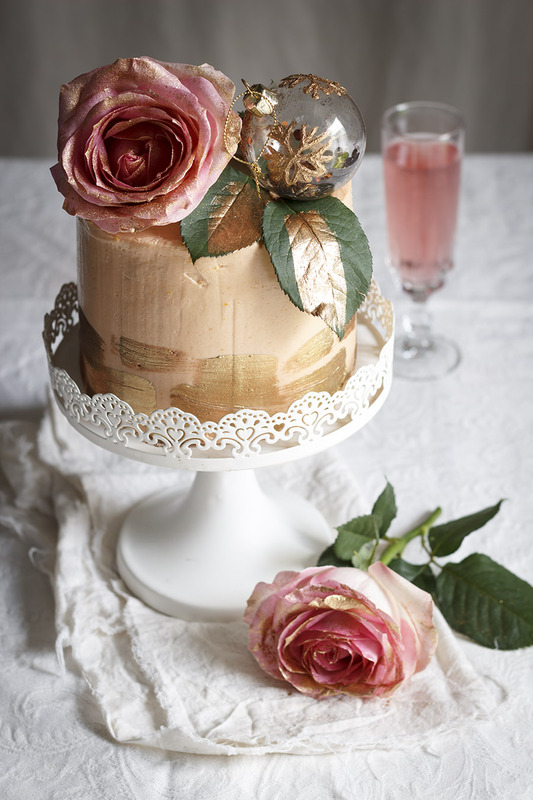 Just like cake, it’s usually our choice for any sort of celebration – birthdays, weddings, promotions, if we’re celebrating there is always a cake and there is always bubbly (well in my case, anyway!). 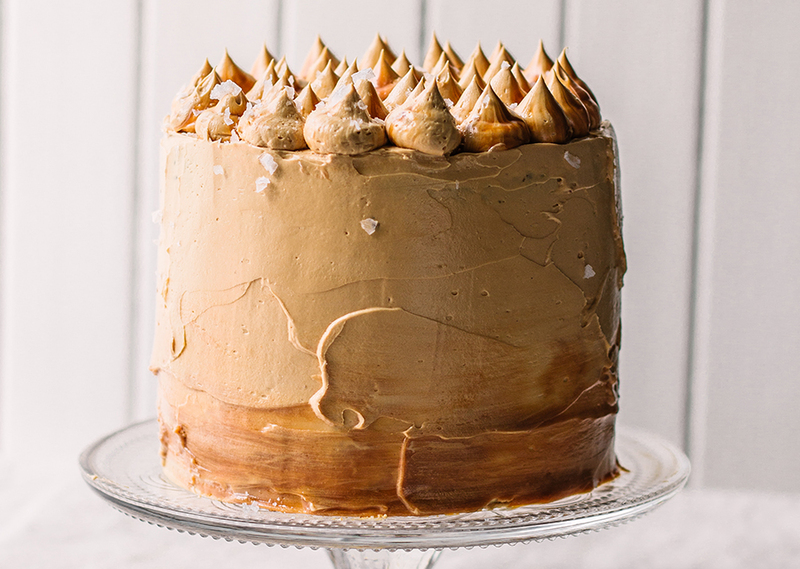 My favourite quote of all time, is Julia Child’s ‘A party without cake is just a meeting’ and I’d go so far as to also say ‘A party without bubbly is just a meeting’ too! 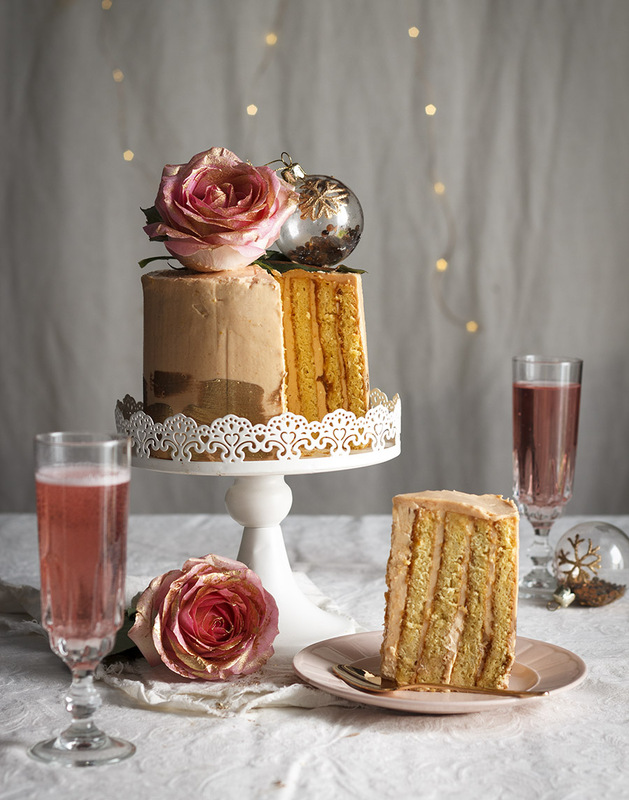 So I’m not sure why it took me this long to put the two together and make a champagne cake – but it was worth the wait, I promise because this right here will change your life. The buttercream? Thinking about it makes me weak at the knees! Preheat the oven to 180°C. Grease and line two large 20 x 30cm baking sheets with baking paper. In a large, clean bowl whisk the egg whites until thick and stiff, then slowly whisk in 1/2 cup of caster sugar. In another bowl, whisk the egg yolks and the remaining sugar until the mixture is very thick and pale (about 10 minutes). Fold in the vanilla and sifted flour. Lightly whisk 1/3 of the whipped egg whites into the egg yolk mix to lighten it, then fold the remaining egg whites in, taking care to knock as little air out as possible. Pour the cake batter into the lined baking sheets and bake in the preheated oven for 20 minutes or until springy to the touch. Allow to cool completely. For the frosting, place the sugar and champagne in a saucepan and simmer gently until reduced by half and set aside to cool completely. Cream the butter until very light and fluffy and set aside. Whisk the eggs and syrup together over a pot of gently simmering water with an electric hand mixer until tripled in size and hot to the touch (it should read 60 degrees celsius on a sugar thermometer) then remove from the heat and continue to beat until room temperature and cooled. Fold the egg mixture into the whipped butter, adding a few drops of pink colouring, and continue mixing until a light, smooth buttercream forms. 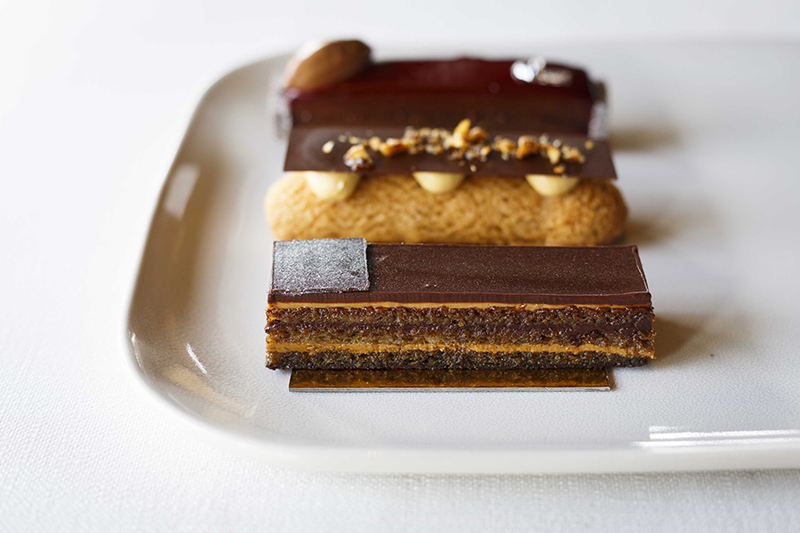 To assemble, cut the sheets of cake in half lengthways so you have four long strips. Spread with a thin layer of peach jam, then spread the buttercream on the cake and roll up, laying the strips end to end, to form a short, fat swiss roll. Place the swiss roll on its side to form the cake (trim it if necessary). Allow to set in the fridge until firm, then frost the sides with buttercream. TIP To make the gold brush strokes, mix gold and copper edible dust with 1 tsp of vodka (or vanilla essence) to form a paste. Brush the paste onto the sides of the cake. I see you have made the cake in the form of a swiss roll type cake. 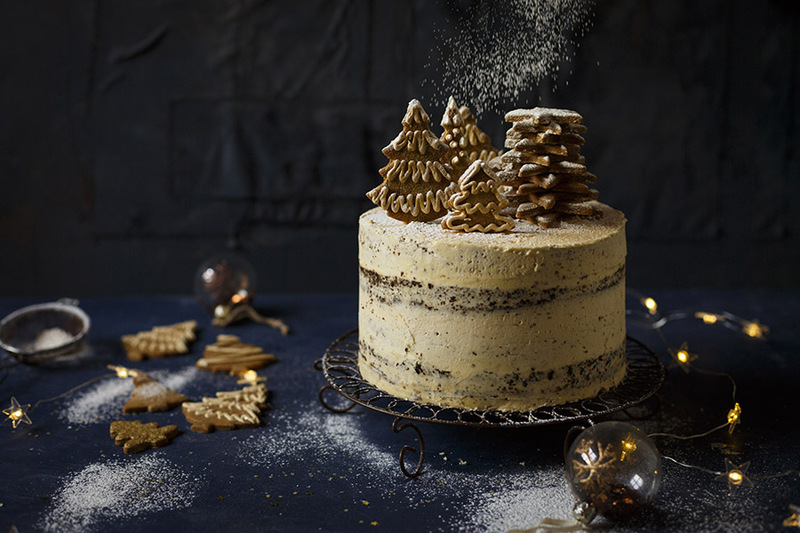 Would it be possible to just make it as a normal layered cake ? If so, what size pan would you use ? Hi Clare, I don’t suggest baking this swiss roll recipe as a normal cake. Swiss roll sponge is normally super light and piling it all in a cake tin (as opposed to spreading it thinly on a baking sheet) will cause it to sink in and be heavy. 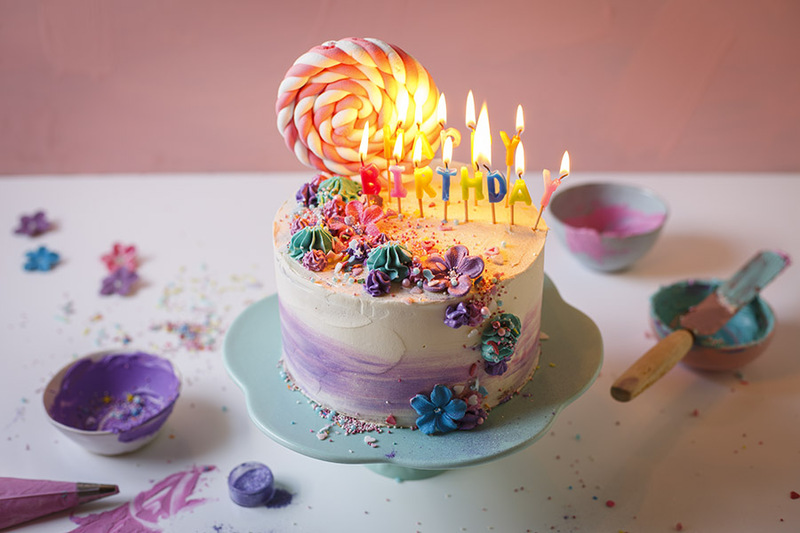 If you’re looking for a vanilla sponge, try this recipe: http://thekatetin.com/unicorn-cake-recipe/ Happy baking!